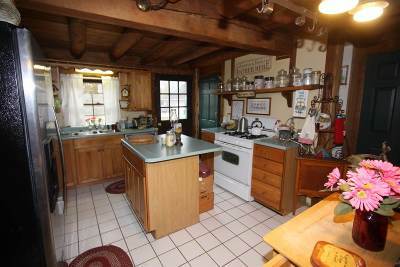 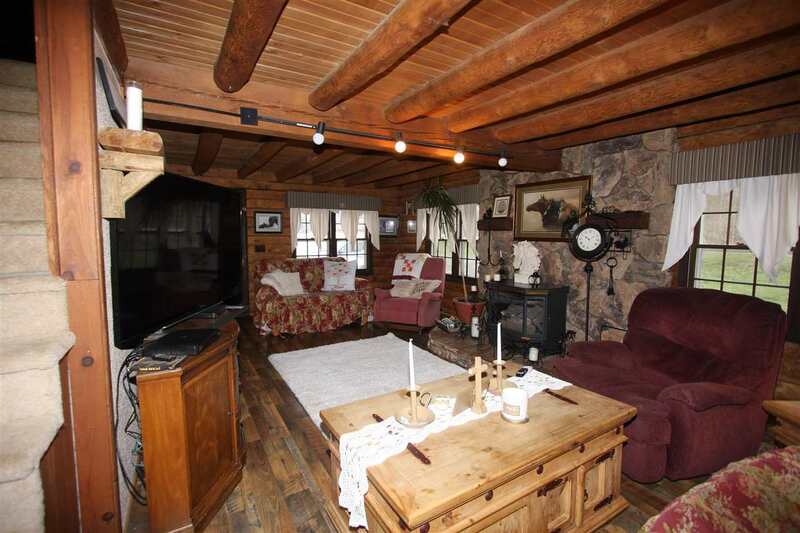 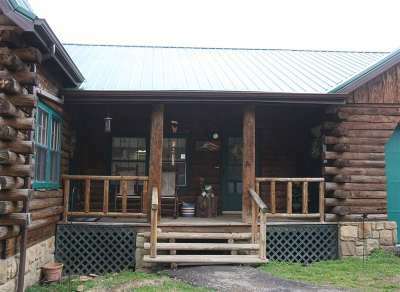 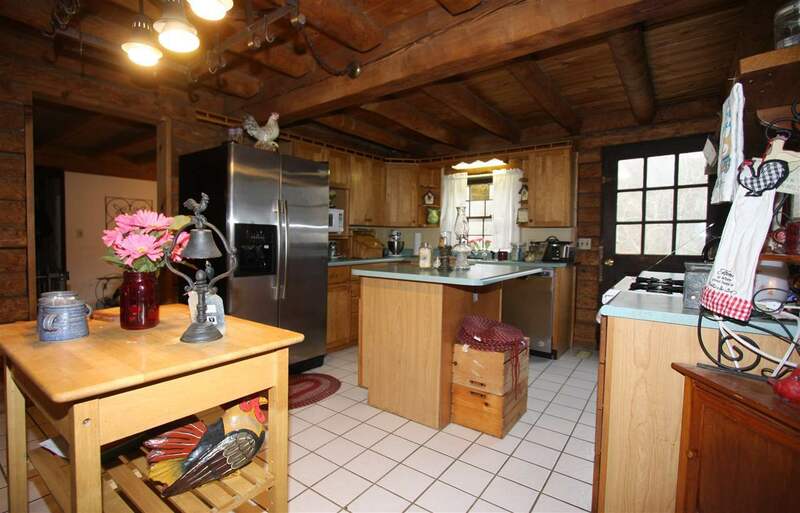 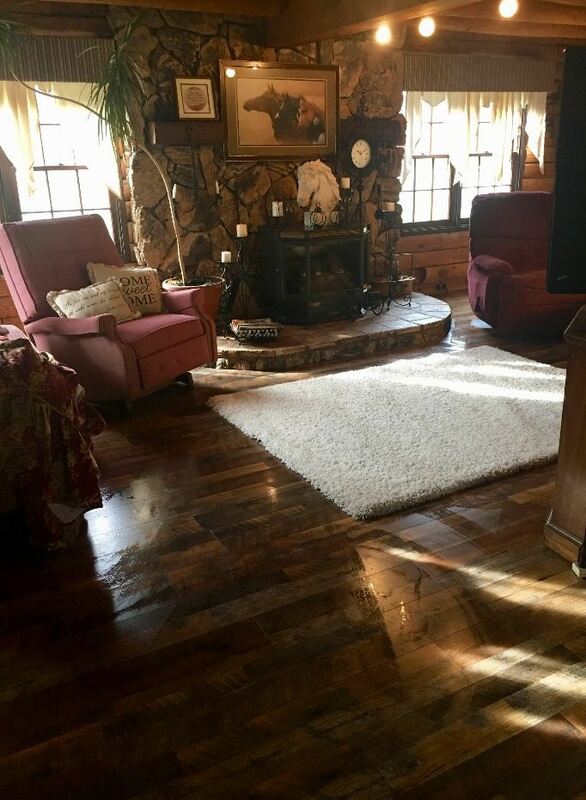 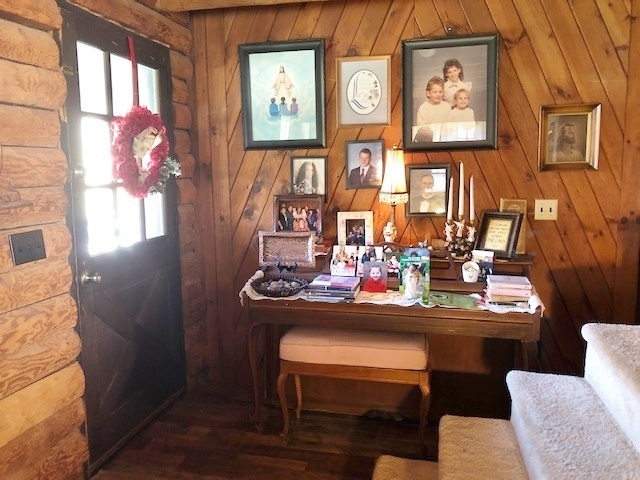 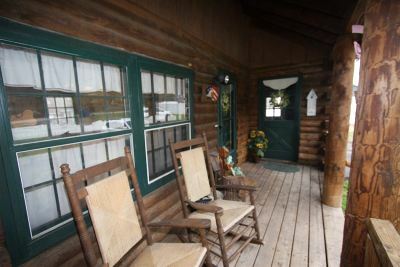 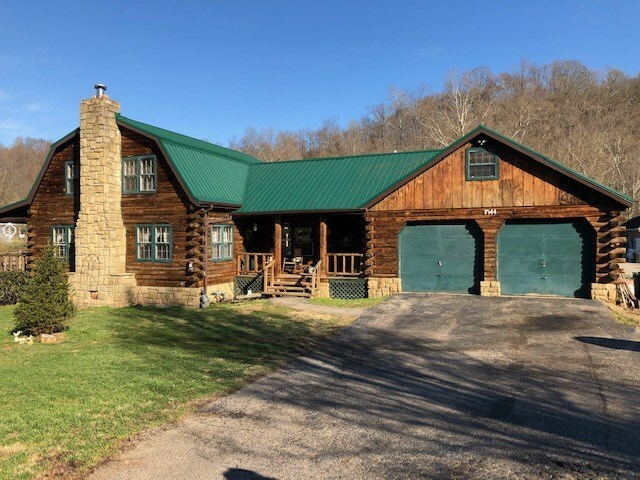 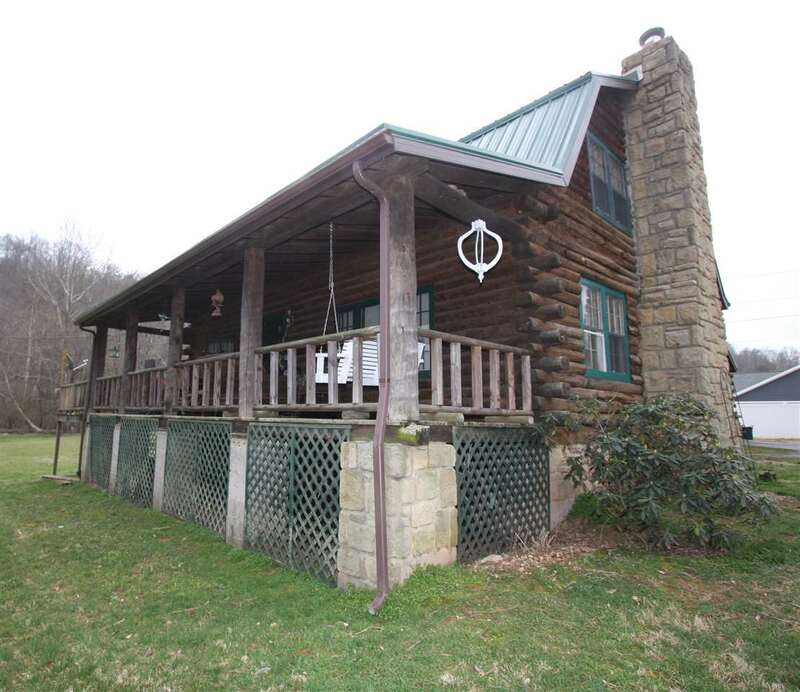 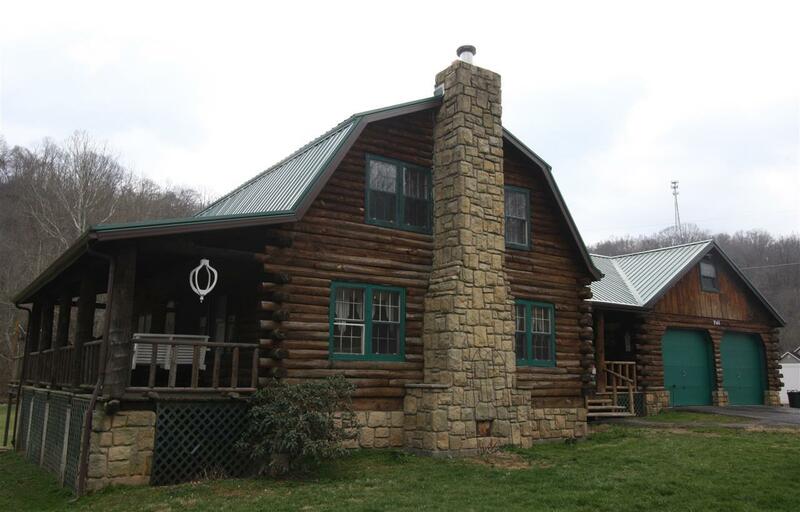 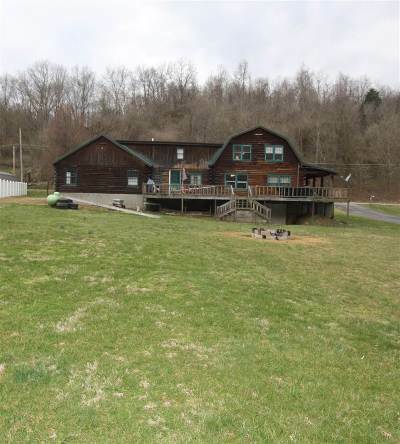 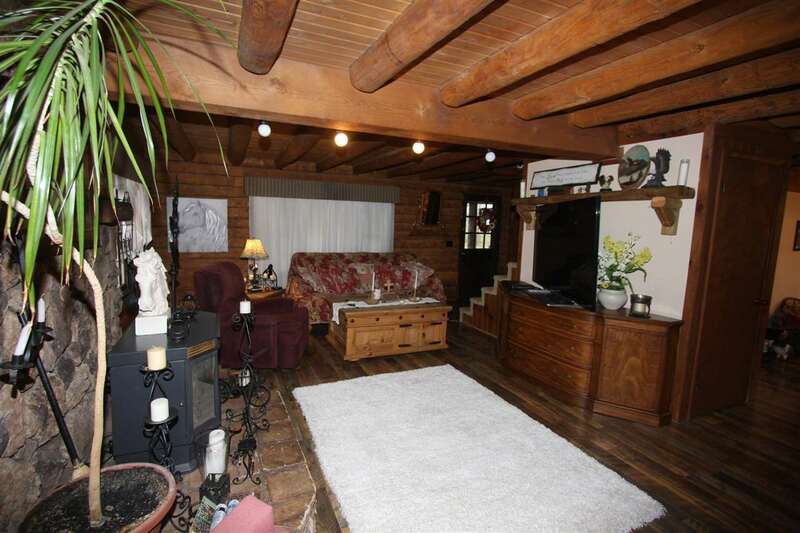 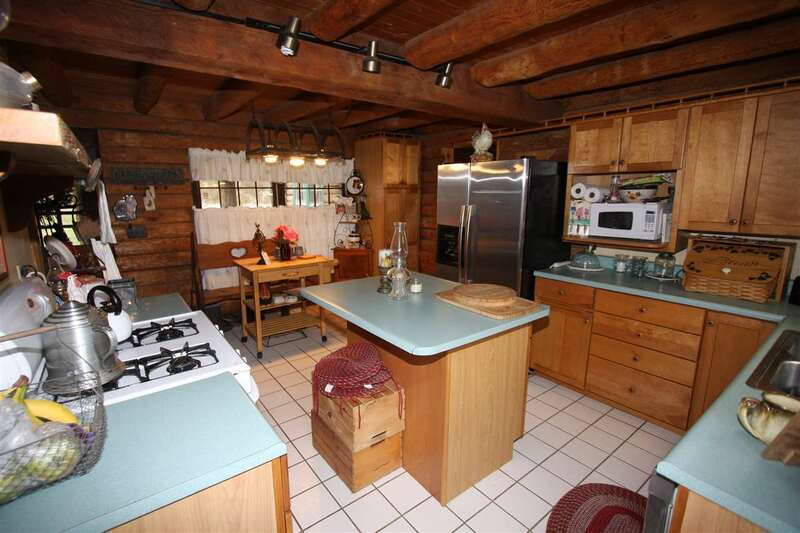 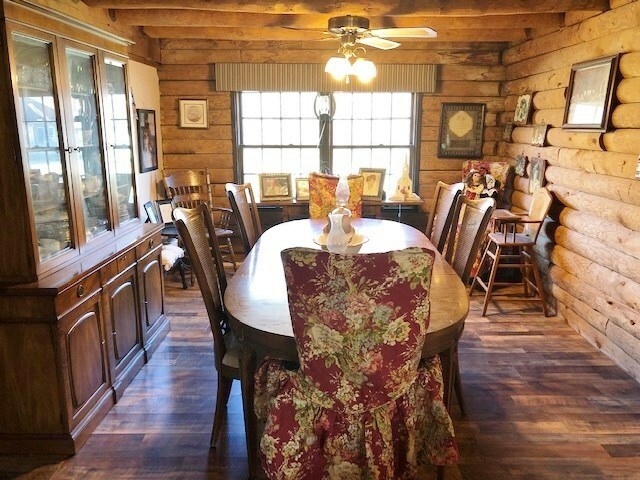 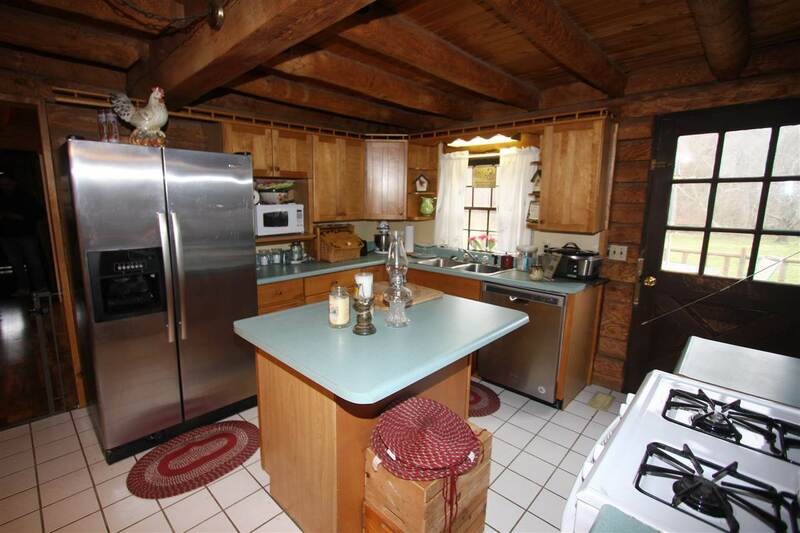 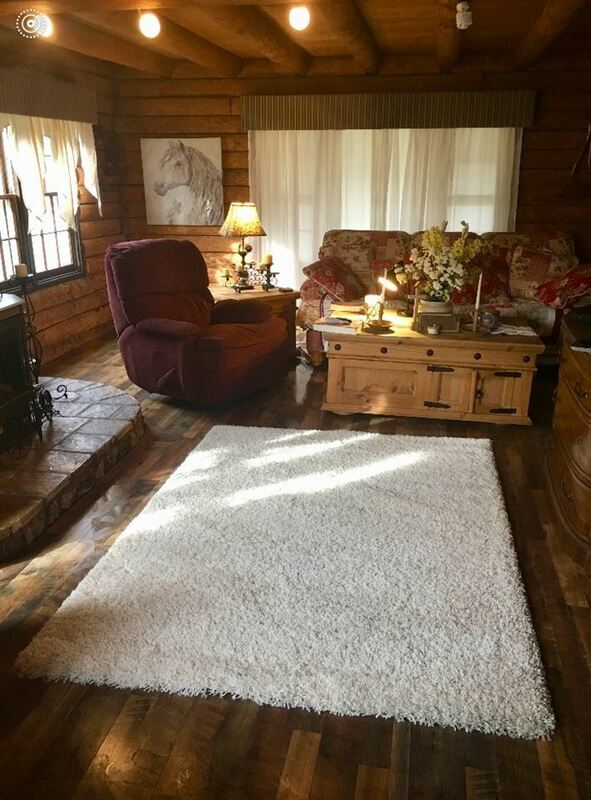 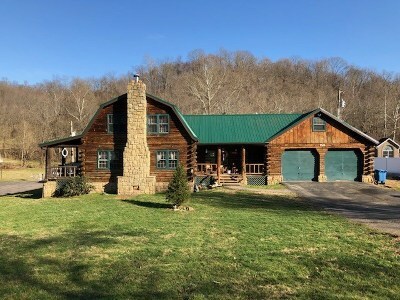 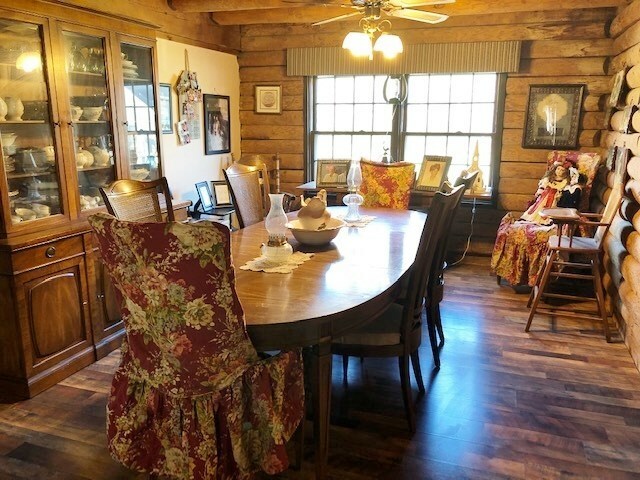 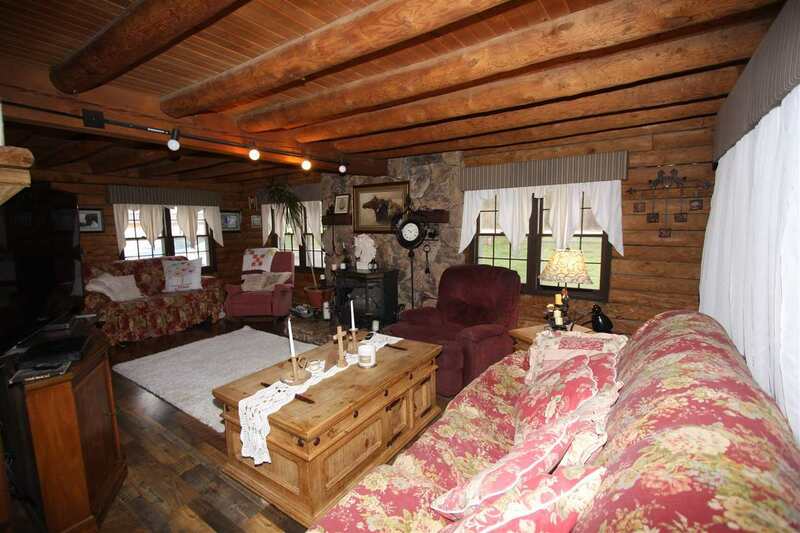 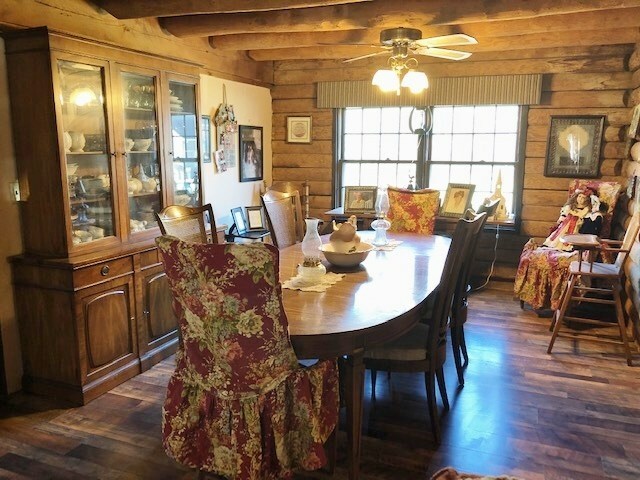 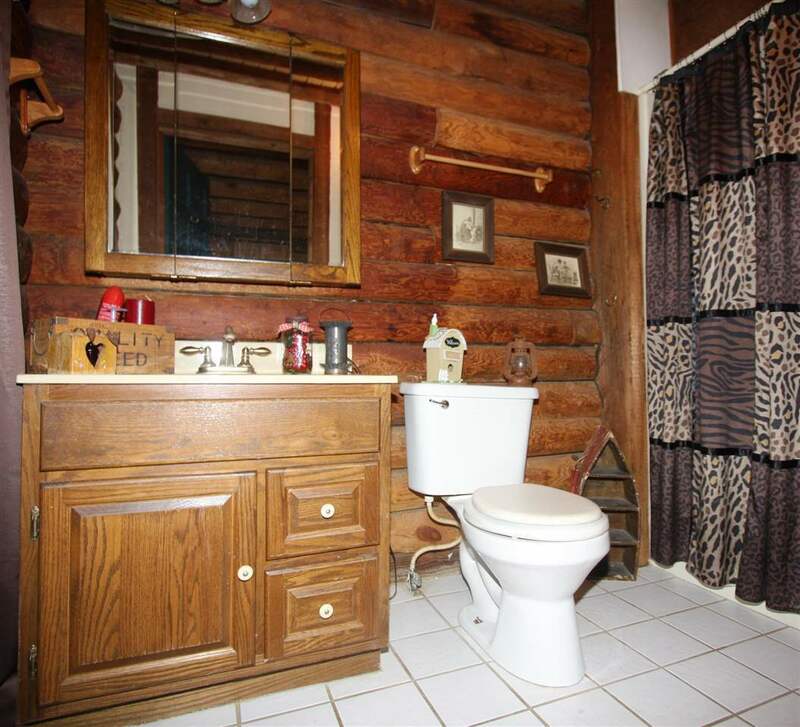 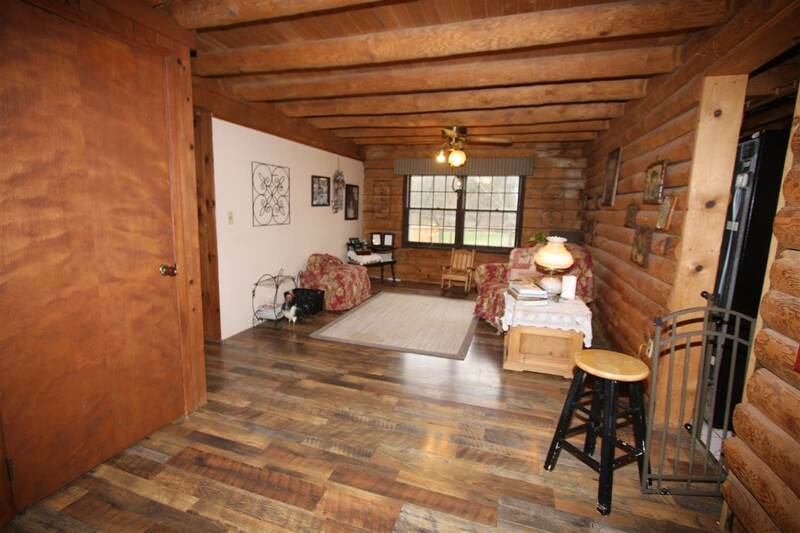 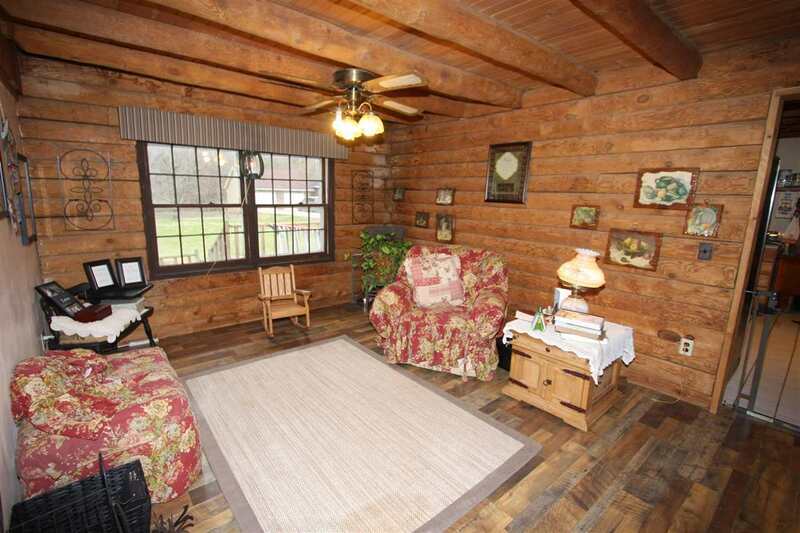 Log home on large, level lot (8/10 acre) - inviting front porch and wrap-around side porch and open decking. Featuring 3 to 4 bedrooms - main floor bedroom could be office or small den, large living room with wood burning stove and stone fireplace. 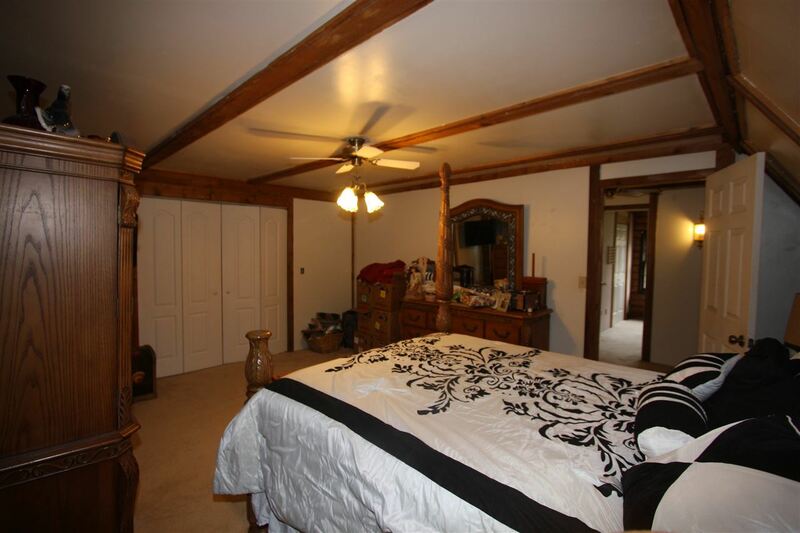 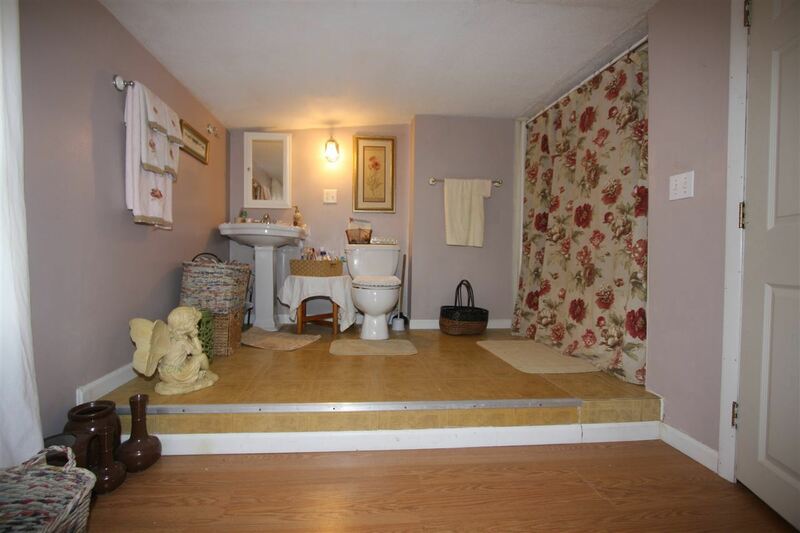 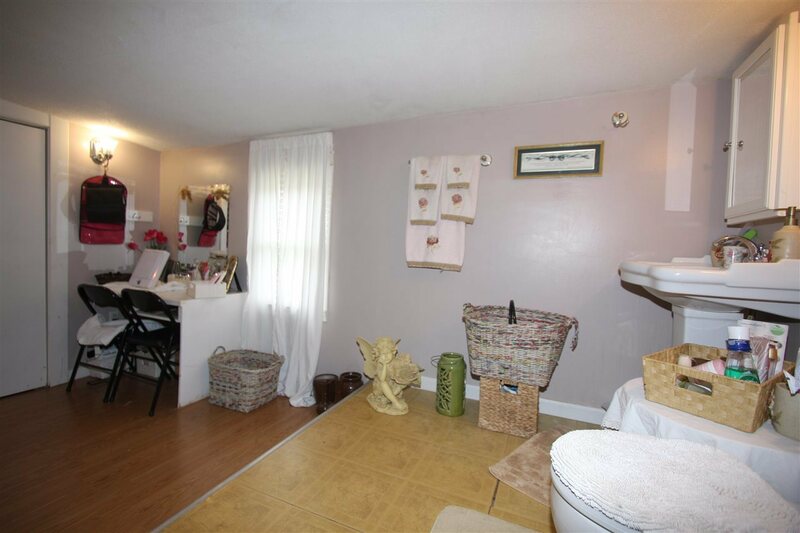 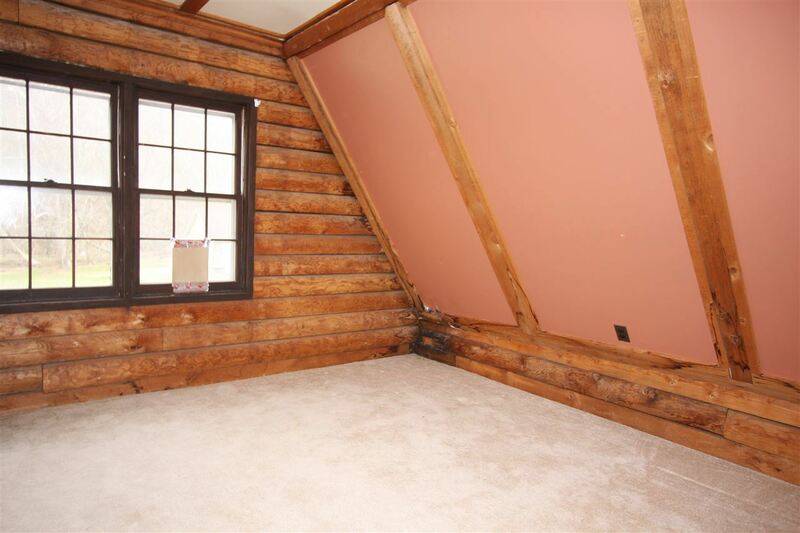 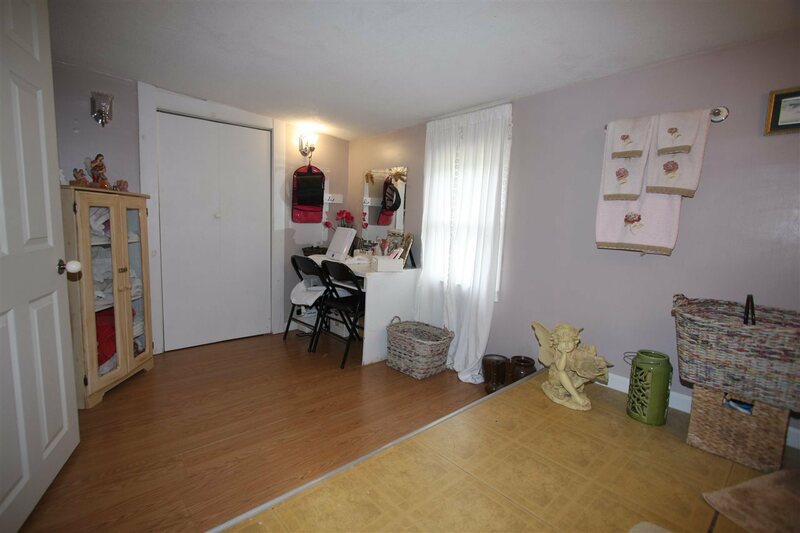 Upstairs features large master bedroom with two smaller bedrooms and large bath. 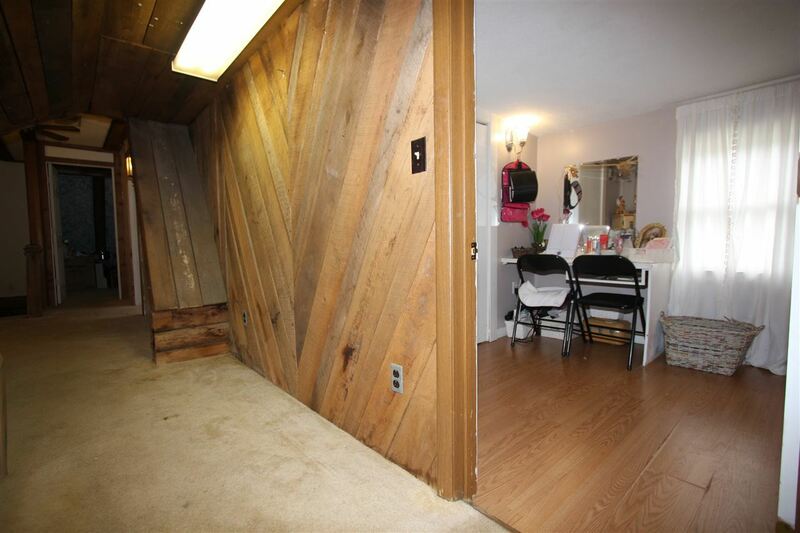 Full unfinished walkout basement - great for storage or could be finished for extra room. 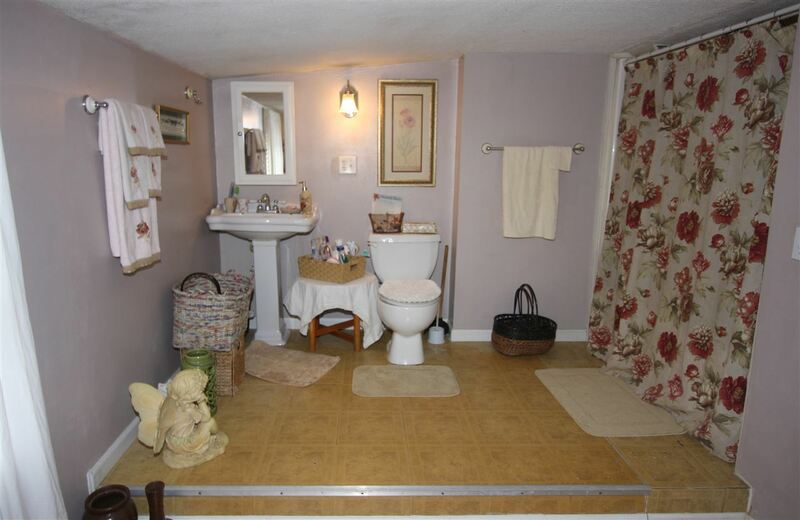 Tons of potential.